The National Restaurant Association released its findings that plant-based ingredients, including cannabis and CBD, and zero-waste cooking will be the hottest culinary trends of 2019. The annual survey, a barometer of U.S. food and beverage trends, found that 77 percent of the chefs, all members of the American Culinary Federation, identified cannabis/CBD-infused drinks as the No. 1 trend. 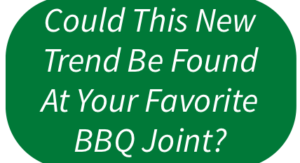 In addition, 76 percent of them tapped cannabis/CBD-infused food as the second most popular trend. Chefs who participated in the survey said infusing foods with the ingredients could create unique cuisine opportunities and potential new markets for experiential dining occasions.